Last weekend I attended a killer event in Phoenix for WordPress website users called WordCamp. The goal of the 2-day event was to help anyone in the WordPress ecosphere get information on best practices, developments, trick, tips, hacks, and sometimes crazy fun things they can do with their WordPress site. 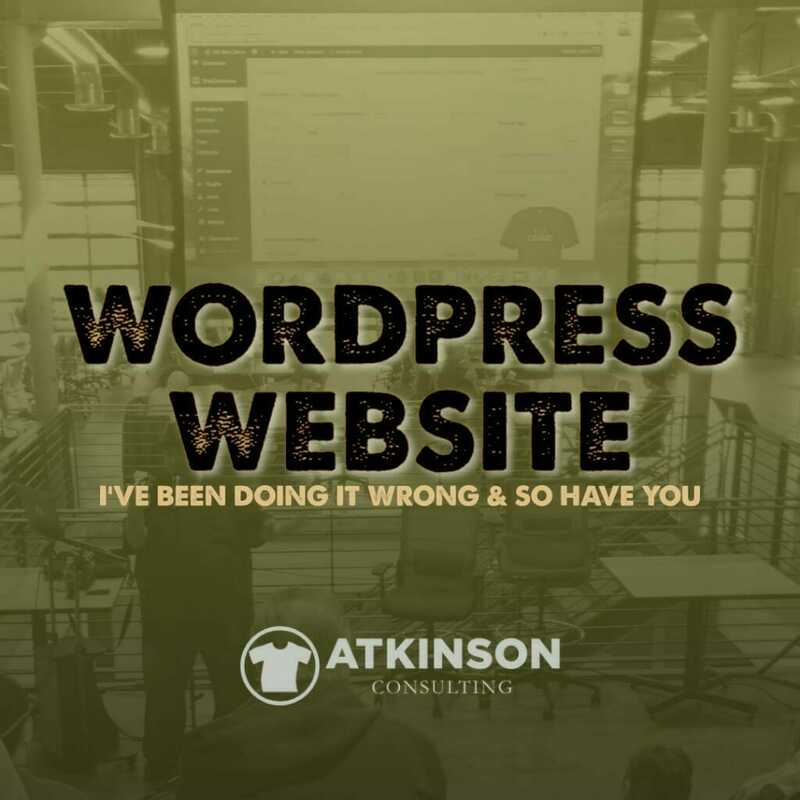 I run the Atkinson Consulting blog on WordPress and have been using it since I started it in 2010. Until this two-day event, I literally didn’t have a clue I was operating it so incorrectly. Therefore, I thought it might be nice to throw you a bunch of the fun things I learned that I’m going to be working on soon on my website. There are a lot of really great tools out there to use. Even if you don’t run your website on WordPress, a lot of these should be in your toolbox too. SEO stands for “Search Engine Optimization”. But do you REALLY know what that is about? Or that those things you overlook on your site all the time can be costing you ranking levels? SEO is all about delivering organic content to your site. It is tied to what search engines for Google, Bing or Yahoo consider to be important. Not what you consider to be important. Unless you hook things up correctly, you may be doing it wrong. If you have ever wondered how to attract new customers to your website without a pay per click strategy, this is the one thing I would pay attention to in this article. Below are the talking points that the experts discussed during the sessions I attended, plus the tricks they recommended doing. Not to mention the tools they PREFER to use when doing their own work. Let’s start with this. Yoast is a free plugin that you can install on your WordPress site that not only sets up your pages for better SEO rankings, but it gives you tips on what to change. That’s right. It tells you what to improve. Plus, they have a ton of created content that can educate your business on what to change and how to get started. As a blog writer, this was the first thing I installed when I got home. With over seven million installs it is the number one plugin tool used by professionals. But not, evidently, me. Fire that sucker up! As they say, “Content is King”, but NEW content ranks even higher for SEO. If your webpage just sits there and looks the same as it did five years ago, is it any wonder you aren’t getting the sales bump that you want with it? In case you haven’t been paying attention here’s the pecking order with content. Videos > Blogs > Podcasts > Pictures > Doing Nothing. I’m not sure where your skill set or time will allow you to create anything for the web, but you need to be doing something. The content that you never have time to create is one of the best things you can do to increase traffic. Find the time! WordPress was once only a tool used for bloggers, but it has evolved into much more than that. Now, there is a lot of e-commerce tied to it. I went to a Woocommerce Workshop on Saturday, and the presenter (Chris Lema, who was fantastic) said that last year three million website stores on WordPress used Woocommerce and sold $10,000,000,000+ worth of stuff. Content is what drives customers to those websites. If you want more traffic, start with creating content that is new, interesting, or different. The big daddy of measuring is Google Analytics. Have you set up an account for your website? I have and I wish I knew how to run it better. This is one of my major goals this year. Nothing I can write can describe better than what Google Search Console says about their service. I’ve been a Buffer user for years, so I know the power. Automatically schedule your posts on days and times in advance. It tracks clicks, likes, and shares. Learn what works and what doesn’t. Has a great free version, but I use the upgrade. In some months, I have several weeks worth of posts scheduled so I can concentrate on other things. Easily create marketing videos with this tool. The Promo app makes it easy to create videos with graphics and music that you can use on your website. I love this but haven’t tried it. If I made these would you watch them? SumoMe is a free plugin that allows to you do a few things at once. First, there is a signup form builder to grow your marketing list. If analytics and feedback is your thing, another piece of software to look into is HotJar. This also tracks how a user works with your website, but it can also show mouse clicks, and run reports based on data parameters you can set. It works for the web and mobile. They have a starter version for free, plus a 30 day trial of all the paid features. If you do any writing, whether it is an email, social media post, or a blog article like this one Grammarly helps not sound like the village idiot. Spell check plus clues to word usage help all day long. It’s free, so there is basically zero excuse for not having this and using it constantly. There was an avalanche of information for two days straight. Some of it was on the developer or designer side of things, so not too applicable to how you or I will be using a webpage. I’ll skip that for this article. However, I am going to share some tips that came up that I think are relevant. Some of this stuff I knew, but a lot of it was brand new information to me. Maybe you can use it too. There are a few services for this, but most everyone I know uses MailChimp. I attended a fantastic session taught by Cyndie Shaffstall on Friday morning. According to Cyndie, studies for automated email marketing can lift sales by 451%. If you want that truckload of cash heading your way, all you need to do is build three types of campaigns for your shop. Blast, Drip, or Nurture. You can set up all three of these in MailChimp easily. A blast is simply what it sounds like. You are sending information out to everyone on a list. The trick is to create the content for the blast that people will be excited to consume. 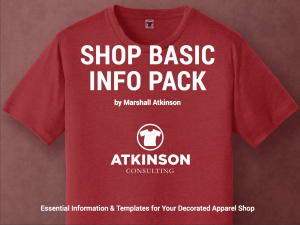 Your customers, potential customers, employees, vendors and anyone else out there that might be interested in your shop, are craving information. That’s right. I said craving. People want to know what’s going on. What’s the latest thing? Better, is showing that you can solve that problem they are struggling with right now. How To – Simply share how to do something. “How do you create great artwork?” Maybe, “How do you raise money with apparel for fundraisers?” You show off your expertise by demonstrating that can solve that problem. Ask a Question – Find out what their number one problem is, and then ask a question and provide a solution. “Which is the right hoodie to use?” or “What is the best t-shirt style to use for high school kids?” Simply find out what questions resonate with your target audience. Educate – Our industry is a mystery to most people. Here’s your chance to show off. What fantastically awesome thing are you working on? Demonstrate your knowledge. A Drip campaign is on-purpose marketing. For example, if someone ordered from your shop part of the Drip campaign for that order could be an automatic “Thank You” message that goes out to them. Cyndie called this the “Elvis” as in… “Thank You. Thank You Very Much”. Please read that in your best Las Vegas Elvis impersonator voice. Sorry in advance for the earworm. From there, you can automatically schedule other emails to trigger out from there. That customer could get a series of follow-ups from your shop every month. As new customers come on board, they get entered into the Drip campaign workflow too. This helps your shop stay “top of mind” for your customers. Plus, it’s easy. You set it up once. Then, the action is automated so you don’t have to do it again. Nurture campaigns are reactionary. It’s based on something your customer did. Abandoned cart on your online store? The “Did you forget something?” message can automatically be sent out. Maybe they watched a video or signed up for your newsletter? The Nurture tasks are all based on the idea of “Hey thanks for doing that, now do this”. Acknowledge that they interacted with your brand. Set up a Nurture campaign for 90 days of information from you. Want more engagement with your audience? Use call to actions with all of your posts. This doesn’t necessarily mean that you need to give away the store with a sale either. Include a Call to Action everywhere you can. Below are some tips that these pros recommended. I’m going to simply list these with a brief explanation. Most are easy to understand. Who doesn’t use images on the webpage? I love creating the images that I use for my blogs. It is almost as fun as writing the articles. How they are being used is a different story. First, make sure you name the image correctly. Describe it. If you have ever uploaded and used an image named 3db0523e3e03f35f477d090e9c7db314.jpg raise your hand. That’s a search term that nobody is going to use. Next, pay attention to your Alt Tag. This is indexed by search engines. I’ve always left it blank because I didn’t know the importance. Fill this out with the name. You can also include the name of the article, or how you are using it on your webpage. Finally for images, be sure that the image is optimized for the web. Load speed is crucial to how your site is being rated by the search engines. Right now if your site takes more than 2.7 seconds to load Google feels that you don’t care about your customers. and dings you. Use GTmetrix to scan your page and test your speed. Do it right now. I dare you. If your site has a lot of great images, but they are massive in size, your site might look great but you are taking a ranking hit. I didn’t know this either, so my website was loaded with images that were too heavy. An easy to use tool that was recommended, and that I just installed, is EWWW Image Optimizer. Grab this tool and run the app. It automatically cycles through your images and corrects the issues. Works great. Tags and Categories tell search engines how your website is organized. Every change you make can take 21-24 days for the search engine crawls to notice the difference. One way to speed that up is to submit your site to the Google Search Console already mentioned. Here’s where you can help yourself by submitting to Google the things your audience is searching for on your website. If you are using Tags and Categories correctly, this added linkage can help improve how search engines view your site. This is an underdeveloped way for your business to be found. For me, I absolutely never use this, so I didn’t even think about it. However, my wife Jody never types in anything on her phone when she is looking something up. This helps with “near me” local search. (TTS) Text to Speech is a new growth area for websites as people are listening more. Unfortunately, this wasn’t explored very well in the presentations I attended, but they did mention this TTS Google app to help convert text to speech. I’m definitely going to be researching this. Question for you: How do you look up stuff on your phone? Do you type or do you talk? Do you use your website to make money? 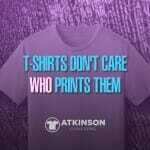 Some shops don’t. It sits there as a fancy business card. That’s ok.
It’s what I use. Stripe is the most popular choice with Woocommerce. Solid and reliable. It’s the number one choice out there. Because PayPal isn’t like a credit card or bank account, some people use PayPal as “free money”. It’s like finding a $20 bill in your pocket. An interesting side note here is that when I launched my eBook – “Shop Basic Info Pack” and did the initial marketing I didn’t have my PayPal gateway enabled. It was hooked up, just not toggled. After a potential buyer asked if this was available, I clicked that toggle in Woocommerce. To date, just under 40% of my sales online use PayPal as the payment of choice. Did you use PayPal when you bought the eBook? Is it configured for your own website store? Who knew this was available? Using Amazon Pay allows your site to connect the Amazon payment gateway for your website’s shoppers. If they have an Amazon account, the payment can be routed through that and the user can pay with 1-Click. This took me about twenty minutes to connect, as I had to establish a Business Amazon account first. Do it. This reduces friction for payment. For every person that throws something in a cart on your website are you getting the sale? Probably not. The industry term for this is “Cart Abandonment”. There are tons of strategies you should employ to help with this. We touched on one before with the MailChimp idea for a Nurture campaign. There is a tool though that can help with this called Jilt. I set this up for my online store and it was really easy. Plus, it’s free. That’s cool too. While this discussion I attended wasn’t about money, plugins or sales I found it to be very enlightening and thought-provoking. Tanya Moushi delivered a very interesting presentation, and I’m going to leave her thoughts as the closing of this article.